Steven M. Cohen and Kerry Olitzky published a great suggestion in the latest issue of the Jewish Exponent, “Conversion Shouldn’t Be the Only Path to Joining the Jewish People”. The only fault I can find in their proposal is failing to having the vision to move more swiftly and embrace the ultimate solution to the falling Jewish population. Candidates would be encouraged to sample a variety of areas of Jewish civilization – such as politics, literature, music, comedy, social action, learning, organized community, Israel and texts – and to achieve a level of familiarity with and competence in participating in American Jewish life. For those who come to desire official recognition, there could be a public ceremony and a certificate of membership in the Jewish people. Jewish cultural experts … would constitute boards that would oversee the program and would attest to the validity of the affirmation. Nevertheless, forcing prospective members of the tribe to watch numerous Woody Allen and Steven Spielberg movies and having a board convene to certify them one at a time is a tedious process. 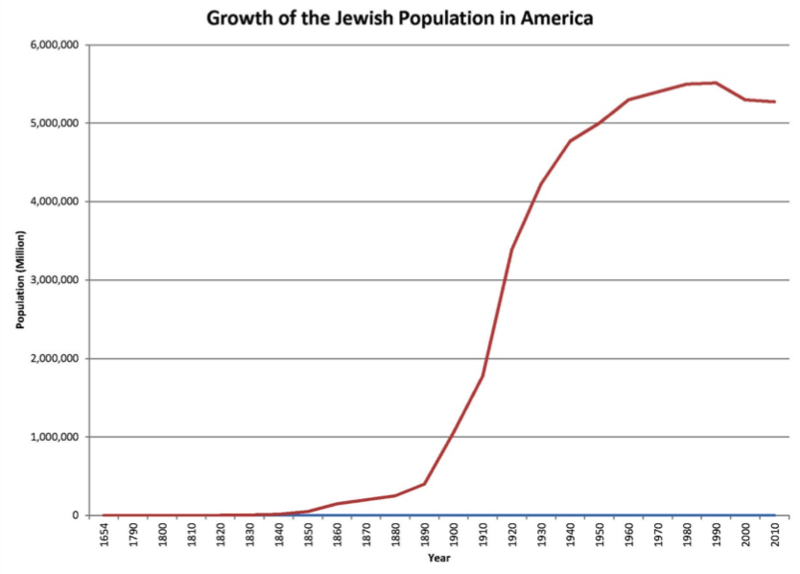 It might take decades to even double the Jewish population at that rate. Instead I have stumbled on a simply but ingenious proposal: Eliminate the superfluous requirement to appreciate Jewish humor and Jewish food. (After all, there are some fine humorless, gluten challenged, or even hard-of-herring Jews and no one is proposing kicking them out!) At that point, we no longer need to have this board of “Jewish cultural expert” and can process the affirmations more “Swiftly”. In fact, let’s eliminate the need to have prospect members of the tribe affirm their desire to be Jewish. If Mormons can posthumously convert anyone without their permission then why can’t Jews convert living people without waiting for an “affirmation” of their desire to join the tribe. So by the power invested in me by no one in particular, I hereby declare that all of humanity alive today is part of the Jewish people, and is hereby officially “encouraged to sample a variety of areas of Jewish civilization – such as politics, literature, music, comedy, social action, learning, organized community, Israel and texts – and to achieve a level of familiarity with and competence in participating in American Jewish life”. Intermarriage is no longer a problem since there are no longer any non-Jews to marry. There will no longer be any need for a “two-state solution” between Israel and the Palestinian Authority. Since all Palestinians are now Jewish, there can be one state which will be 100% Jewish. Iranian Ali Khamenei will now be Jewish, so presumably he will enjoy a bagel shmear instead of calling for the destruction of Israel. The list goes on and on, although to be honest I’ll miss have shabbos goys around to turn on lights for me.